Our spectacular train ride from Derry along Ireland's northern coast has taken us the short 45 minutes to Coleraine. (see previous post). 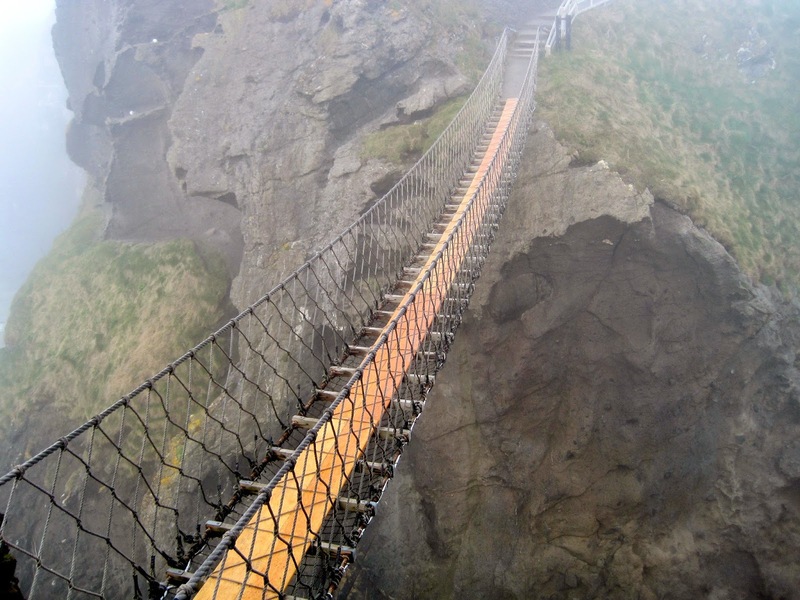 Coleraine is considered an ideal location for the lover of outdoors and, from here, you can use your integrated Translink bus and rail ticket to visit attractions, small towns and villages of The Causeway Coast and, as they say, walk in the footsteps of giants. 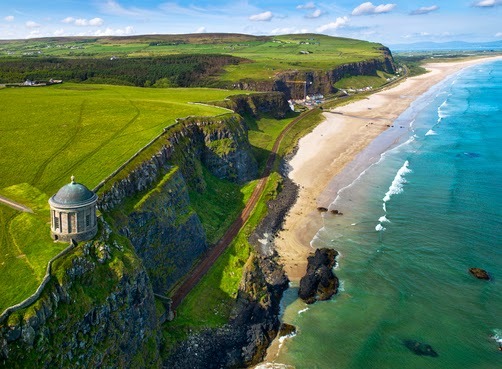 The Causeway Coast is one of the most scenic regions and is home to some of Northern Ireland’s best known attractions including: Bushmills Distillery, Dunluce Castle, Carrick-a-Rede Rope Bridge, Giant’s Causeway. The Causeway is a World Heritage Site and an area of outstanding natural beauty. The Giant's Causeway is an area of approximately 40,000 interlocking basalt columns, the result of an ancient volcanic eruption, but legend has it built by a 54 foot tall giant called Finn McCool. Regardless of whether you prefer science or legend, it's a remarkable area to explore. 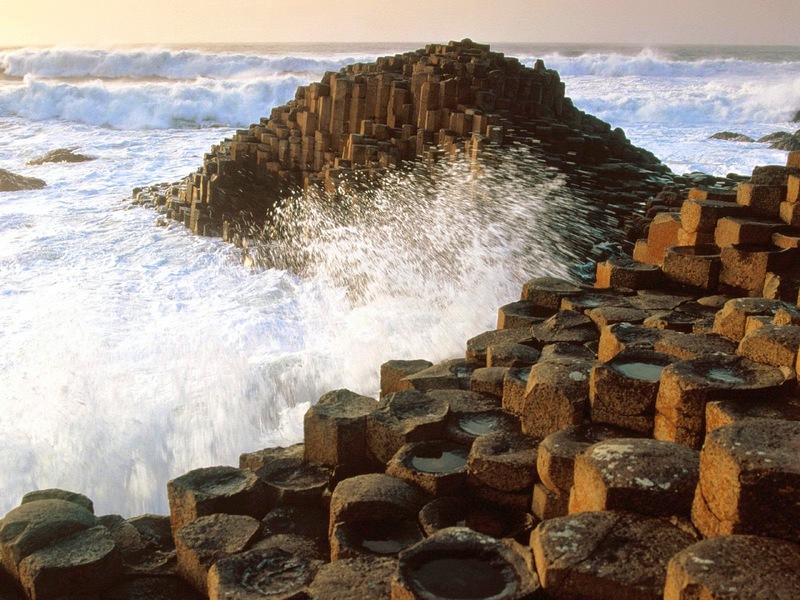 Besides, Giant's Causeway sounds so much better than Interlocking Basalt Columns site. A kid, or a kid at heart, could spend days exploring imagination…or just hoping around.